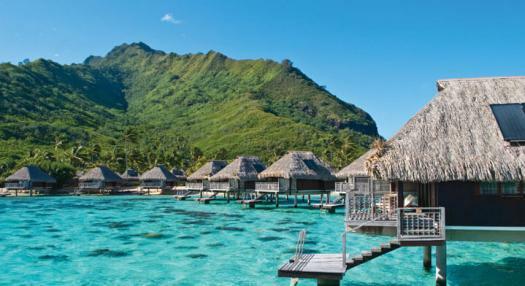 From mesmerising blue waters in Bora Bora to white sandy beaches in Tahiti, not forgetting Moorea’s luscious green mountains. Take your pick for a fabulous holiday. Formerly known as Moorea Pearl Beach Resort & Spa, the Manava Beach Resort & Spa is a charming boutique resort, wonderful for families and honeymooners alike. 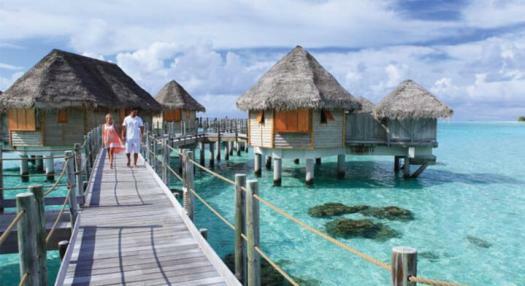 Hilton Moorea Lagoon Resort & Spa is nestled among flower gardens and suspended above a transparent lagoon on the beautiful heart shaped island of Moorea. This all-bungalow resort commands the most idyllic oceanfront location and is the perfect place to enjoy unforgettable moments. 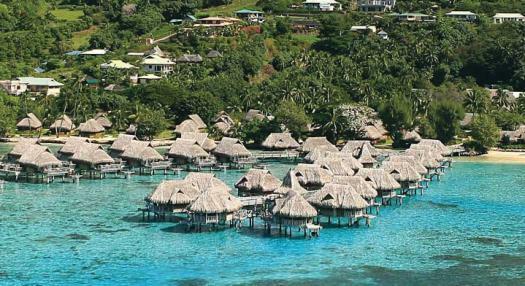 The Tikehau Pearl Beach Resort is set on Motu Tiano, an islet just 15 minutes away from the village. In the steady breeze of the Trade Winds, 10 acres between ocean and lagoon, a wild coconut grove fringed by desert, pink sand beaches. 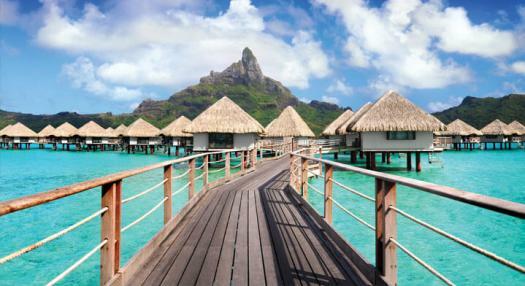 Completely renovated in a contemporary and elegant design, Le Meridien Bora Bora is a luxury resort is set on a magnificent islet surrounded by the most beautiful lagoon in the world and offers stunning sights over Mount "Otemanu".